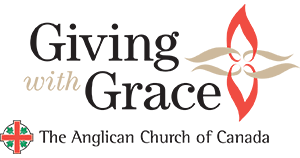 In 2019, the new Canadian Church Calendar brings together the best of both worlds: a reflection of our beautiful Anglican tradition in twelve Canadian cathedrals, and the ministry that each cathedral community leads inside and outside the walls of its church buildings. 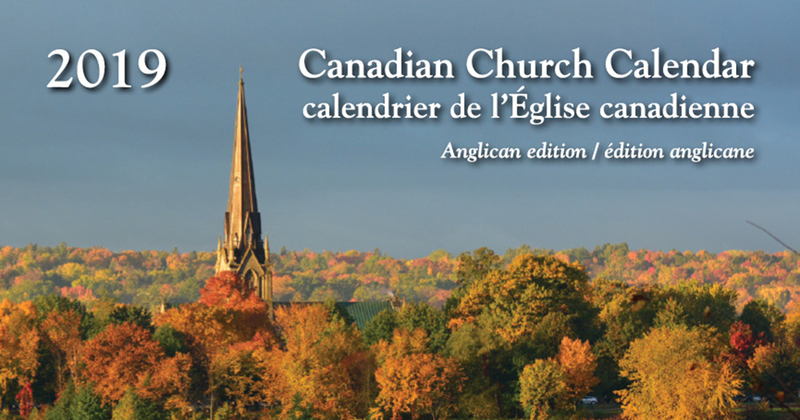 The calendar deftly weaves together photographs of Anglican cathedrals with the church’s ministry across Canada and around the world through the theme “Inside and Out”. 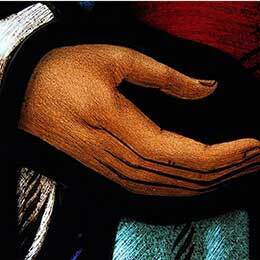 Thompson described the theme as emphasizing unity between the life of the church and the interaction of its members with the wider world. The month of March, for example, features a photograph of 3,000 origami cranes hanging at the Cathedral Church of All Saints in Halifax, as well as a quote from Matthew 5:9, “Blessed are the peacemakers”. The art display was a response to the tsunami in Japan, but Thompson noted the association of paper cranes with the atomic bombing of Hiroshima, describing the image as an illustration of the church’s witness for peace. 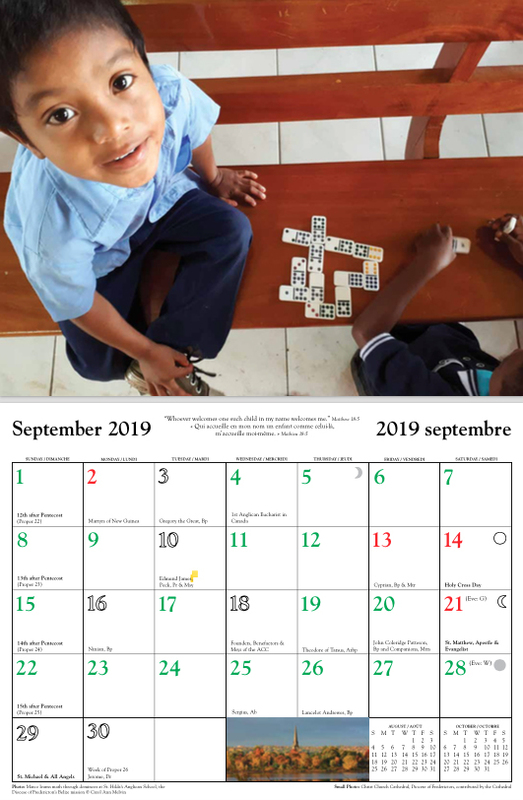 In the September spread, the calendar depicts a young child, Marco, learning math by playing dominos at St. Hilda’s Anglican School, a mission of the Diocese of Fredericton in Belize. Since 2005, Christ Church Cathedral in Fredericton has helped support the school, offering sponsorships to students and donating funds twice a year to help maintain operations. Carol Ann Melvin, a parishioner at Christ Church Cathedral and volunteer on its Belize Mission Committee, took the photograph during a week-long mission trip in which she helped bring educational games to the students. “We basically hugged the kids as much as possible and had all kinds of games, and we supported the teachers working in small groups,” she recalled. She and her fellow parishioners also spoke to older students, offering positive messages of self-confidence and talking with them about their plans for the future. 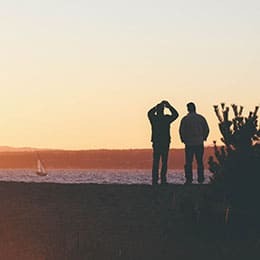 The 2019 Canadian Church Calendar will be available for order in early July. Copies of the calendar cost $5 plus tax, or lower at bulk order prices, and can be ordered from Parasource or directly from your regional calendar secretary. 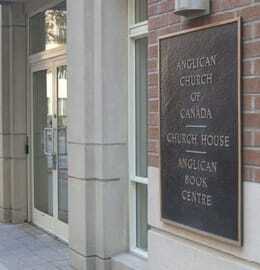 Interested in keeping up-to-date on news and information from the Anglican Church of Canada? Sign up for our email alerts and get our stories delivered right to your inbox.